Afternoon Tea in Gloucestershire | Eat Unique. Celebrating tea rooms in Gloucestershire! 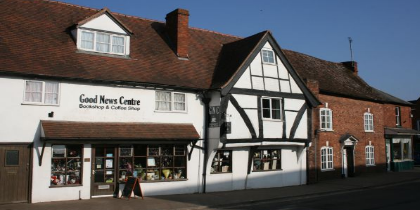 The Good News Coffee House has proved to be very popular as a meeting place for local people as well as visitors. The large cafe area provides an opportunity to enjoy a cup of tea, coffee, or soft drink. Our homemade cakes are very popular, and there is a good choice of hot and cold snacks available. 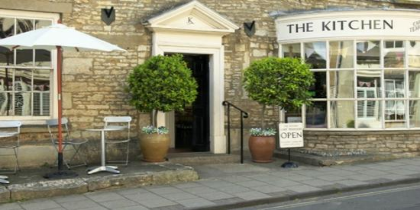 The multi-award winning Kitchen is located in the unspoilt picturesque Cotswold market town of Minchinhampton. Choose a seat by the beautiful bay window and watch for riders trotting by on horseback or perhaps the occasional herd of cows strolling down from the Common. If you are looking for a great place for Tea in the county of Gloucestershire you won’t be disappointed! Gloucestershire’s many and varied Tea Rooms offer something for everyone. Whether located in the country, from farmhouse and cottage tearooms to stately homes and ornate gardens, or in the market towns and quaint city locations, Gloucestershire tearooms are well worth a visit. 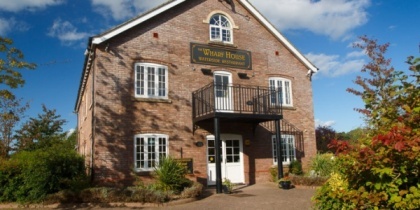 We hope you find this website a help as you make your choice of Gloucestershire Tea Room. “Tea Rooms in Gloucestershire” is one of the Eat Unique directorys, which is pleased to promote independently owned and run businesses. Managed by the same team that operates Quoakle and the UK Days Out directory, Great Days Out.